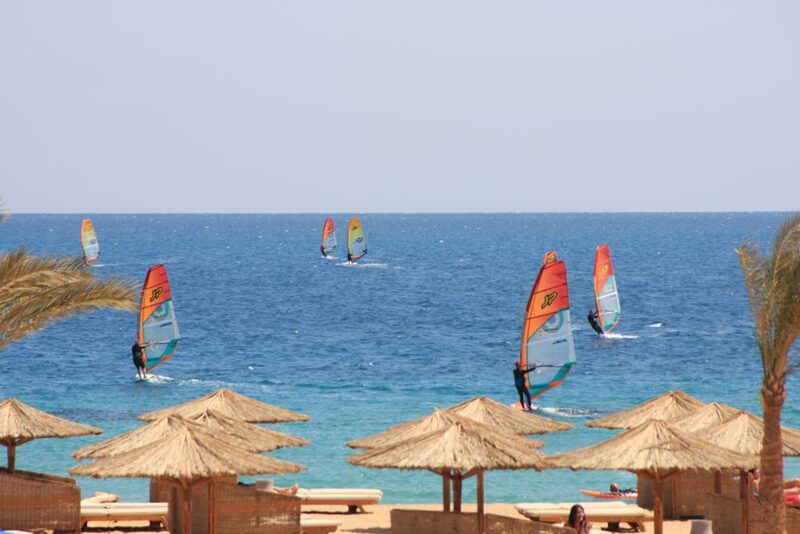 Our windsurf and kitesurf spot is loacted at the Mercure Hurghada Hotel, 700m downwind of Caribbean style sandbanks. 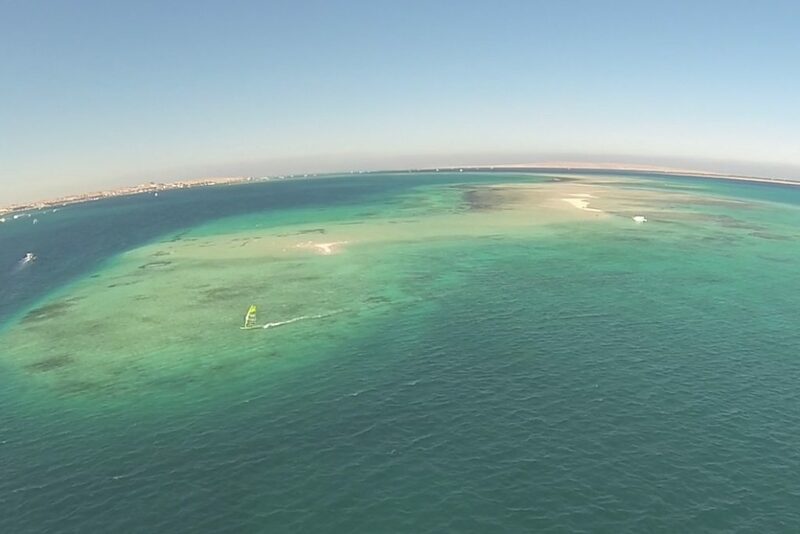 Directly infront of the centre is a large freeride spot with plenty of space for everyone on the water. 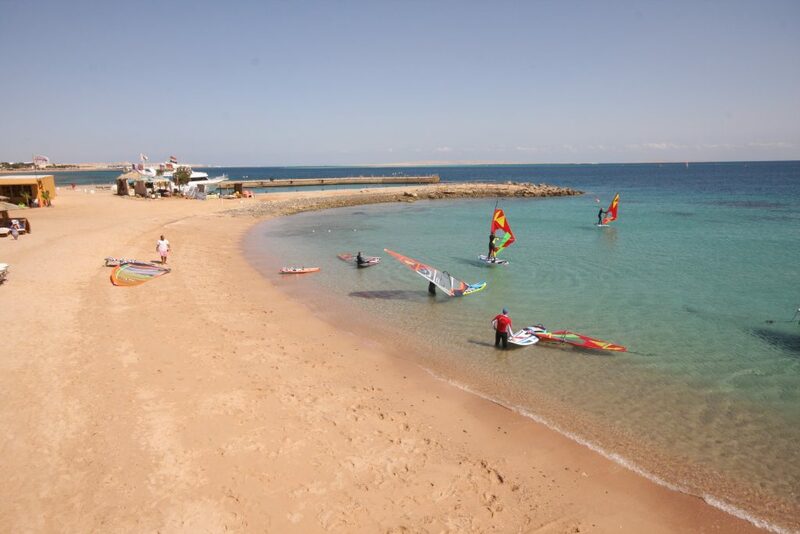 Here windsurfers and kiters can enjoy the conditions. A great place to practise gybes or kite jump manoeuvres. The prevailing wind is usually crossshore from the left. In the morning the wind can also blow cross-offshore, before changing direction. The sandbanks can be reached in a few tacks, depending on the wind direction. The tides can be different heights, during the seasons, leaving the sandbanks more or less exposed. The area is mostly fine sand and the small patches of coral are easily visible. We recommend wearing neoprene shoes. With our radio rescue system, we give you exceptional rescue cover. Whether your are upwind of the sandbanks or just in front of the centre, you can always contact us if you need to be rescued. 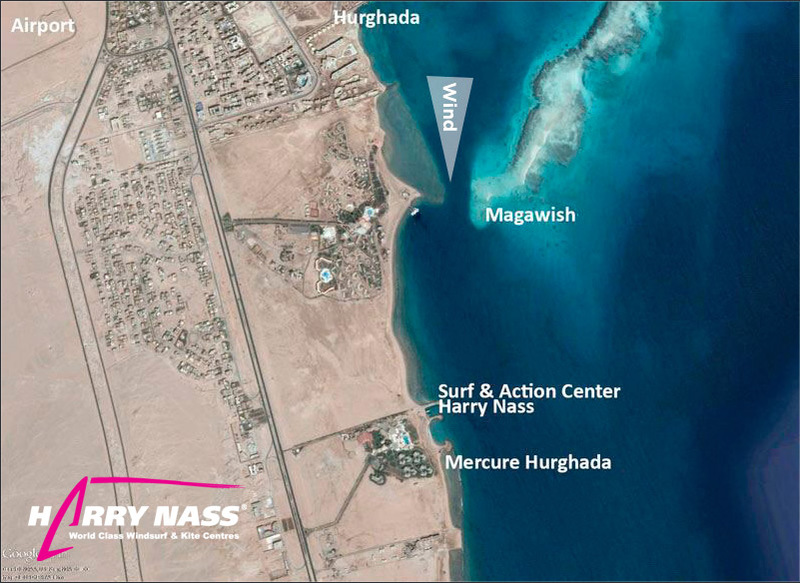 The windsurfing launch area is located right next to the centre. The prevailing wind blows cross-shore from the left. For the beginners, we offer walkie-talkies and our rescue boat service. Progression is fast so a great place to learn how to waterstart or early planning. 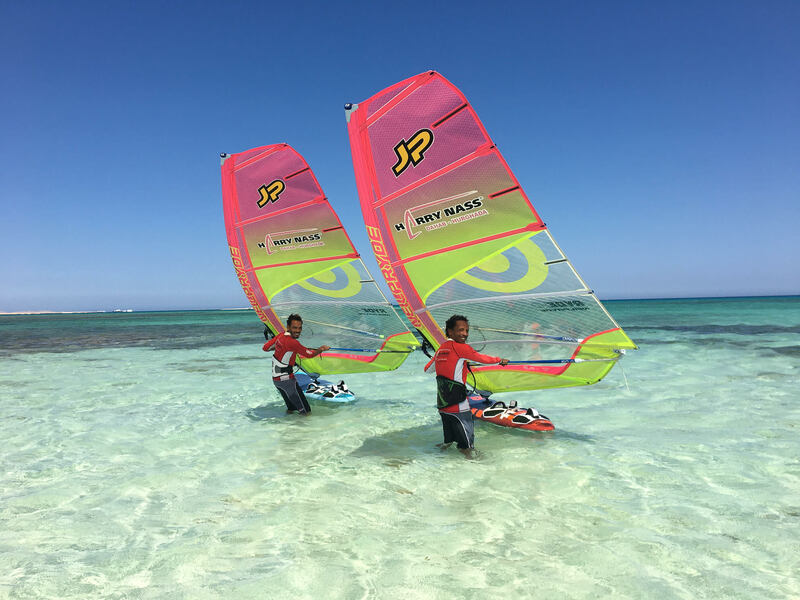 We also offer supervised “downwinder” trips from the sandbanks which have great learning success. 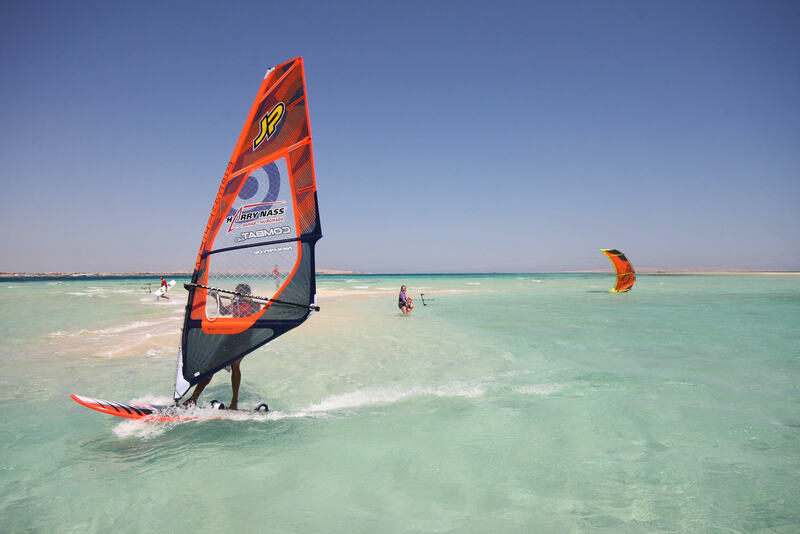 For advanced beginners and intermediates the windsurfing courses are held in area 1 (sandbanks). There you will find a nice shallow area and plenty of space to practice. 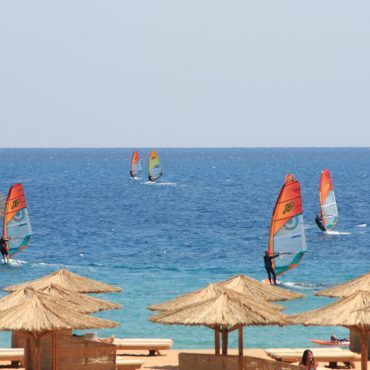 As a special highlight our windsurf instructor will lead you back to the centre on a “downwinder” when the wind is suitable. Neoprene shoes are recommended. As a special service you can book a shuttle to area 2. The shuttle includes the boat trip to the sandbanks, equipment setup and launching assistance. Please ask us for the shuttle times. Suitable for all independent kiters. Kiters who cannot keep height yet should take advantage of our broad range of training courses. Due to safety reasons it is not possible to practice without affiliation to our station or under supervision of an instructor. 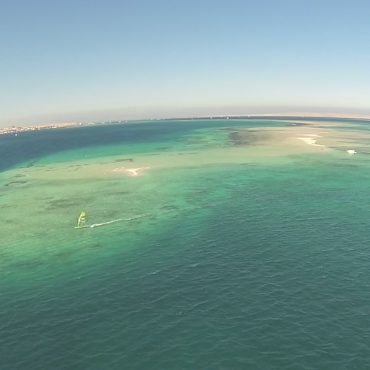 Our large, shallow training area for kiters can be reached by boat in about 10 minutes. As the only professional centre on site we have the means to teach exclusively in a spacious, shallow area. 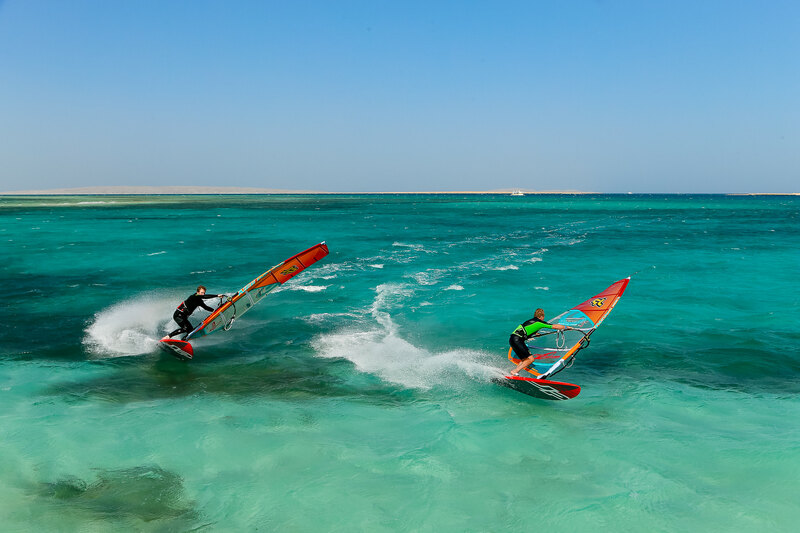 With lots of space for rapid success and without any fear of possible collisions you can take part in our kitesurfing courses in peace. For the most part the area consists of finest, sandy beach, but there might be a few shells lying around, so we recommend shoes for our beginners.